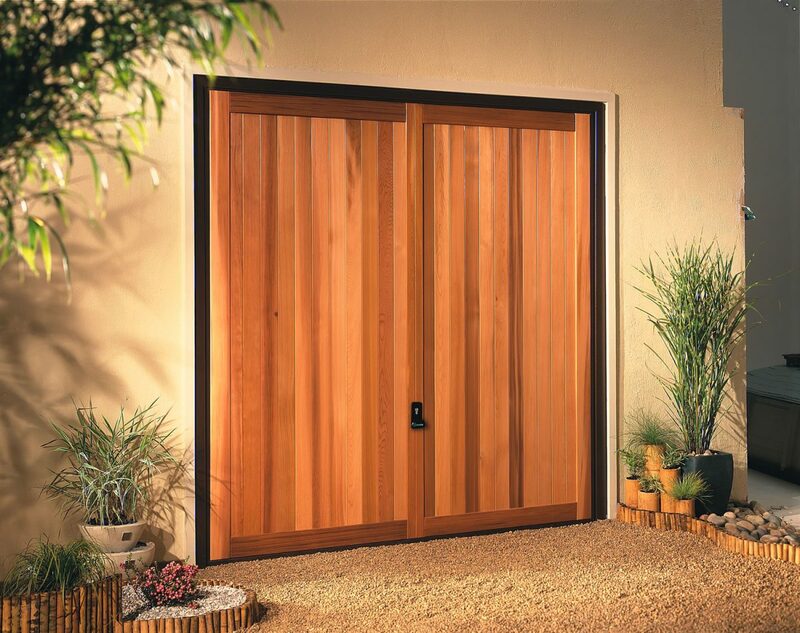 Traditional side hinged doors combine robust and reliable performance with simple personal access. Abacus can supply side hinge doors with 50/50 split, or 2/3-1/3 access, either left or right handed and most styles and designs. We can supply and fit side hinged garage doors across Bristol and surrounding areas in the South West of England such as Gloucester, Cheltenham, Stroud, Clevedon, Portishead and Nailsea. Side hinged doors are available in Steel, Timber or GRP. Sizes from 5ft 9in to 10ft wide and from 6ft to 7ft 6in high depending on styles. 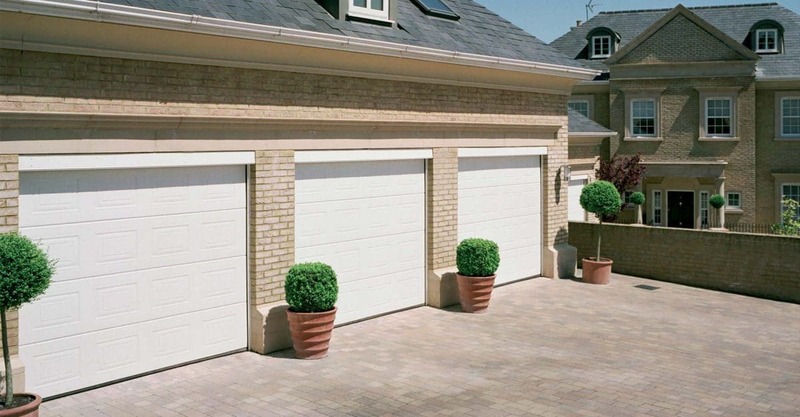 Side hinged garage doors are a unique solution which matches contemporary engineering with a classic look. The side-mounted configuration provides a more traditional style of garage door: one which opens outwards from the centre, with hinges on both sides. The result is an elegant and eye-catching appearance that will help any modern garage stand out from the crowd. 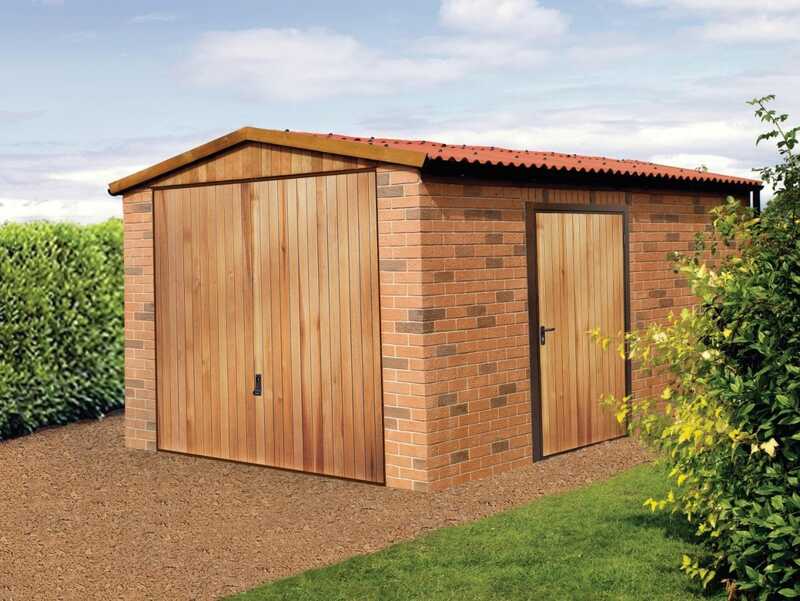 Side hinged doors can improve both accessibility to your property and provide the most secure option for garages and workshops. Our product range represents a versatile set of options to choose from, ensuring that each installation compliments the look of the location. Abacus is able to supply side hinge doors with a 50/50 split – where the join is in the centre of the doorway – or a 2/3rds to 1/3rd join, with either a left hand or right hand orientation. Every installation type is available to our customers in almost all of the styles and designs within our range. 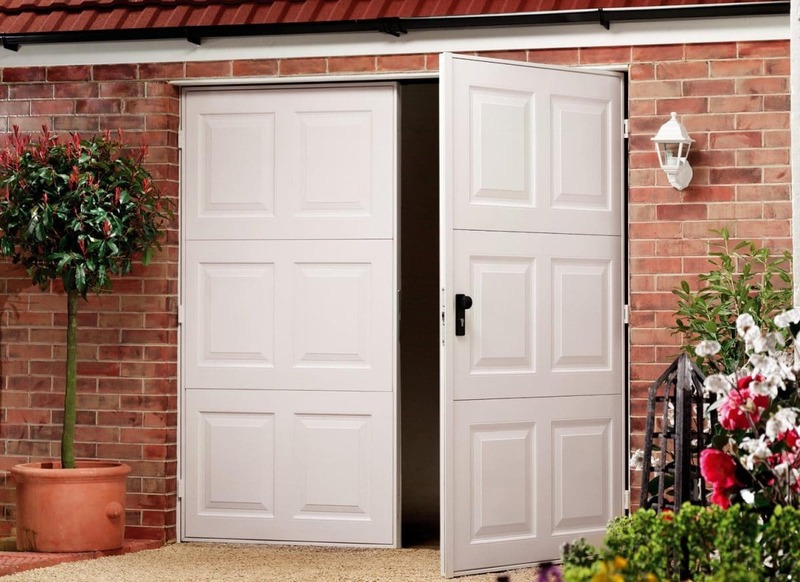 We supply doors of widths from 5ft 9in up to 10ft across; and heights that can range from 6ft to 7ft 6in – dependant on the design of your doors. Abacus supplies side hinged garage doors from all of the top manufacturers and brands, and in a selection of materials to best suit the appearance and requirements of your property. Our side hinged doors are manufactured in steel, timber, and Glass Reinforced Polyester (GRP). Glass reinforced polyester is a popular choice in high precipitation regions, or areas where damp can be a concern – such as in coastal locations. GRP is the most weather resistant of garage door materials, and also affords versatility in design and finish: it is available in both wood effect and a window finish, and in a broad choice of colours. Steel doors provide the most secure option, making them the favoured option for business and commercial premises, as well as for the home. Abacus steel side hinged doors for your garage can be installed in range of colour finishes and designs. Choose from solid steel, ribbed steel, windowed designs, and more. 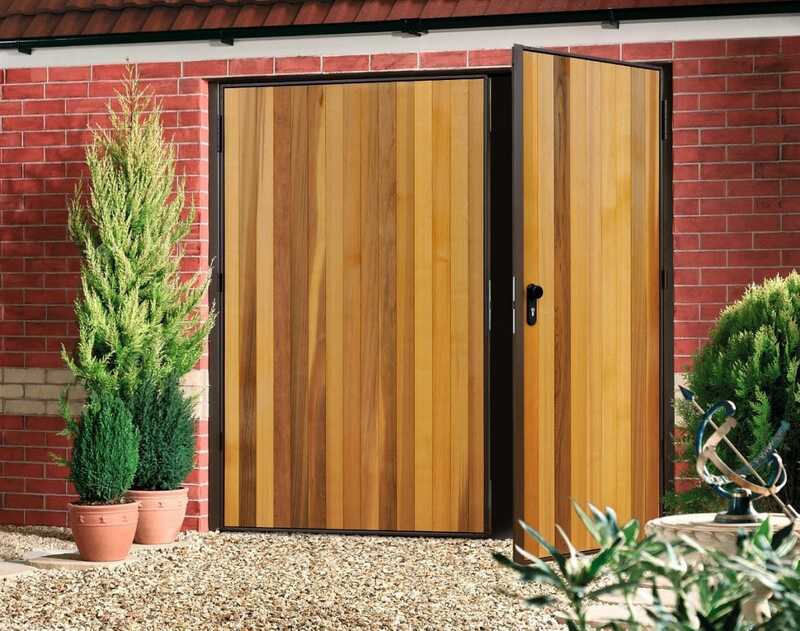 Timber doors provide one of the most sophisticated garage door solution available on the market today. We can advise you on the options to improve your installation with wood treatments, designs, automation and security options.